It is with heavy hearts that we the family announce the peaceful passing of Veronica Anne Thomson (Petterson), 72 on Sunday, April 14, 2019, after a courageous battle with cancer. Born in Sydney on October 14, 1946, she was the daughter of the late Jim and Anna (Spagnolatti) Petterson. She is survived by her husband, Jackie Thomson; daughter, Susan (Scott) Everill (Mira); son, Jonathon (Miranda) Thomson (Lingan Rd), and grandchildren; Jesse, Jenna, and Jace. Veronica is also survived by her sister, Linda (Donnie Rideout) Petterson; brothers; James (Colleen), Robert, Arnold, and Carl, also survived by several in-laws, nieces and nephews. Veronica was a kind and gentle woman, who had a heart of gold and always had a smile for everyone she came in contact with. 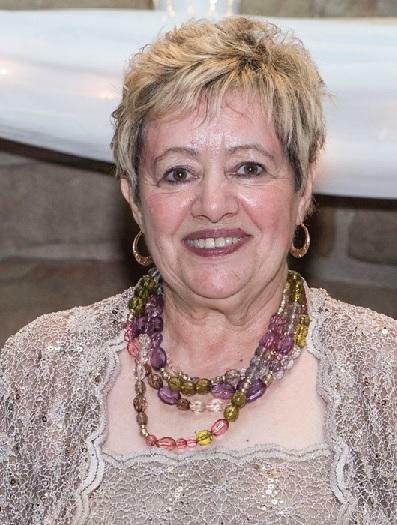 Veronica’s greatest joy came from caring for her family, she devoted her life to caring for her children and helping run their family business. Mom grew up on the farm on Lingan Road where she had fond memories of helping her dad with his daily chores, especially driving the school bus. She enjoyed spending time with her husband Jackie, going for evening drives, Harley rides, and all their summers on the Mira. She loved her shopping adventures with Susan, as well as her many adventures with her sister, Linda. She always looked forward to visits from her son, Jonathon to sit and talk about his day. Veronica loved to watch hockey, she was a huge fan of Sidney Crosby and the Detroit Red Wings. Her shining star was her grandson, Jesse, and she could be found at the various rinks cheering him on. She did not miss an opportunity to get out and support her grandchildren in their many endeavors. Veronica will be remembered by those who knew her as someone who was larger than life, with her own personal touch, with a generous nature, and a willingness to help anyone in need. Cremation has taken place under the direction of Forest Haven Memorial Gardens. A private family service will be held at a later date. We would like to express our deep gratitude to the Palliative Care Unit at the Cape Breton Regional Hospital, the VON, Home Care, and the many doctors and nurses who have helped Mom through this journey. Also, special thanks to Tootsie and Rose who took care of Mom while she was at home. Memorials may be made to An Cala Palliative Care Unit or the Cancer Care Fund (CBRH).